The Food Alphabet and More: Say Yes to Starbucks hot hot Summer drinks! + New Starbucks Cards to collect! 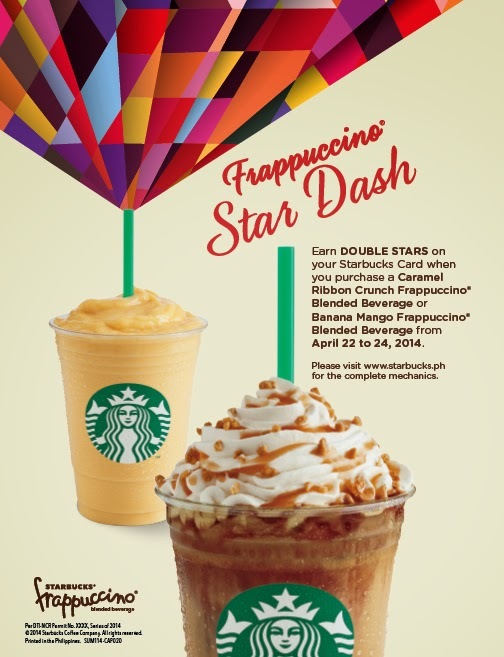 The Caramel Ribbon Crunch and the Banana Mango Frappuccino, promises to cool you down this summer! Grab a cup from your favorite barista at the nearest Starbucks store near you, staring April 22 only for a limited time. Frappuccino Star Dash! Ready to get DOUBLE BEVERAGE STARS this summer? Then head on and use your Starbucks Card and purchase a Caramel Ribbon Crunch or a Banana Mango Frappuccino Blended beverage and get 2 stars for every purchase. This offer is valid only from April 22 - 25, 2014 only. 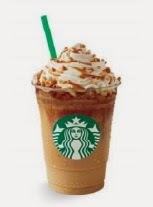 Enjoy the summer heat and cool down at Starbucks! Say yes to extraordinary flavors this summer! And guess what April 22 also is the debut of two new Starbucks Cards! The #Birthday Card (above) and the #Summer Card (below), collect these limited edition Starbucks Cards starting April 22! Or give them as a gift to your family, friends or special someone! To know all about what Starbucks Cards can do for you, and for your friends click HERE to find out.